When these two beautiful cats were signed into CP care in September as young kittens they hadn't even been given names by their owner but a great change in fortune means Lilly & Milly are much loved in their new home. 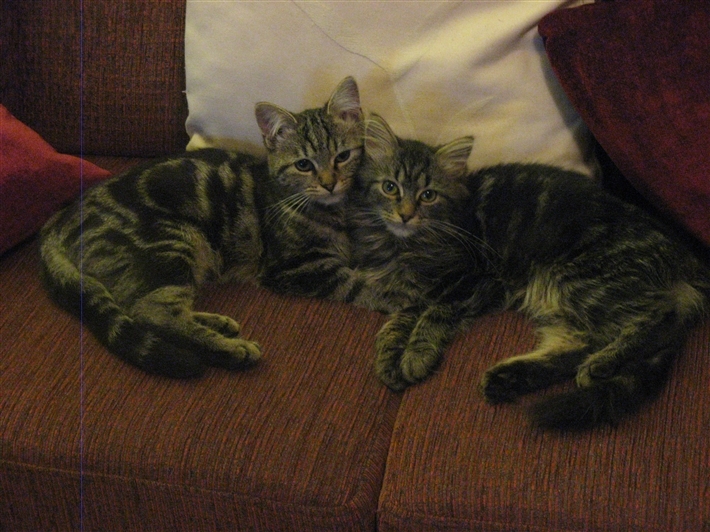 Their new owners said in October "Both Lilly & Milly have settled in well, they are both enjoying their new home. They are so playful and energetic and are keeping us busy, they have both come out of their shells especially Milly who can purr for England! !They both love being groomed and they always look for the treats afterwards, also they have taken over sleeping on our bed!!!! Thank you very much for letting us re-home them they are a real pleasure and it was just what we needed after losing Megan at such a young age."